No trip to Peru is complete without a trip to the Amazon. But with so much space and multiple ports to enter through, it’s hard to know the difference between which Amazonian destination will suit your needs best. Aren’t they all the same? Not exactly. When choosing which Peruvian Amazon destination to visit, consider the insights below to make sure you do get the experience you’re hoping for. Here we’ve laid out the differences between the two most popular gateways: Iquitos vs Puerto Maldonado. Delfin I Amazon Cruise Excursion. 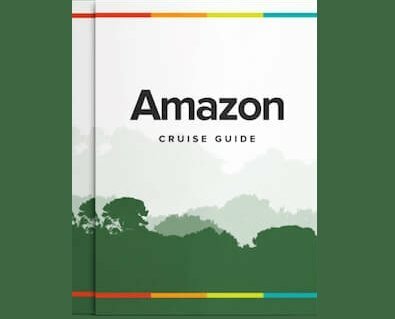 Where can you enter the Amazon in Peru? From Peru, the two biggest Amazonian cities (and points of entry) are Iquitos and Puerto Maldonado. Both can be accessed by plane or boat, and Puerto Maldonado is accessible by car. Usually, travelers will make their way to one of the cities, then enter the Amazon where they will spend the duration of the trip. Within the Amazon, travel options include river cruises (enabling you to see many different destinations and sights), or staying at a jungle lodge. Or, if you can, both! What is the difference between Iquitos and Puerto Maldonado? There are two main lights in which to consider these two different destinations. Firstly, how they are different as cities (and destinations), and secondly, how they differ as a means of entering the Amazon. It's important to note that Iquitos offers both Amazon River cruises and lodges, whereas Puerto Maldonado only offers jungle lodges. Iquitos is the largest city in the Amazon, and only accessible by plane or boat. Sitting on the intersection of the Amazon and Itaya River, Iquitos has quite a bit to offer within itself. As the largest destination in the Amazon, the city offers a unique look at “city life” within the midst of the rainforest. Wander through wild markets selling exotic fruits, deadly catches, and herbal drinks claimed to deliver all sorts of effects. Dine at innovative restaurants in old colonial buildings that sit on the water’s edge, where the man-made jungle meets the untamable natural one. Visit the manatee rescue center, and see and learn about the different species before you encounter them firsthand in the wild. In Belem, see the rustic stilt houses lining the Itaya River. Wander through the European-inspired buildings around the main square, and take a tour that can teach you about the city’s history. For a couple days before setting off onto the Amazon river, Iquitos offers visitors an introduction to life in the jungle, with a cultural unlike any other city in the world. View our What to do in Iquitos post for more information about the city. Kayaking in the Amazon jungle (Delfin Amazon Cruise excursion). Puerto Maldonado is another massive city in the Amazon, great for bringing travelers to where the city meets jungle. Unfortunately, the city itself doesn’t have many tourist attractions, and its connection to the rest of the country by road has had a visible impact on it: mining has steadily increased. The city is much more of a setting off point than destination, although visitors sticking around for a couple days can visit the rescue snake house or Obelisk lookout tower for a view out onto the jungle. You’ll see some markets selling vintage goods that are worth a look, but expect prices to be higher than elsewhere in Peru. Since most tourists visit either destination solely to enter the Amazon, let’s discuss the difference between the jungle surrounding both Iquitos and Puerto Maldonado- and which will let you see the Amazon the best. Because Iquitos is a bigger destination, you’ll find a greater variety of nearby Amazon lodges and Amazon River cruises that leave from here. Traveling along the river by rainforest cruise is the most popular way to explore the Amazon (and of course, our personal favorite), and longer trips are often a combination of a river cruise and stay in an Amazon lodge. If you do wish to travel by river cruise (even perhaps a short one combined with a lodge stay), you’ll find that none of them exist in the Puerto Maldonado area- just a limited selection of lodges. For many years, the two destinations were on par as setting off points, even though Iquitos has always been more popular as a destination. The jungle they allow visitors to access used to be quite comparable- both great, just different. However, recent developments have had a huge impact on the area just outside Puerto Maldonado. Bigger, larger roads connecting it to the rest of Peru have led to a huge increase in mining, which is tragically having an impact on the surrounding wildlife. Thus, despite a presence of rich wildlife surrounding Puerto Maldonado, you’re not likely to see nearly as much of it yourself. What you will see is plenty of mining and logging in progress. So, for those traveling to the Peruvian Amazon in 2016, it seems the best point of entry into the Amazon is Iquitos. With the options to explore the rainforest by river cruise, the higher number of worthwhile attractions within the city itself, and a remoteness that has helped preserved the rich wildlife, Iquitos currently offers a better experience for those hoping to experience the Amazon rainforest in Peru. Contact Us for more information about Amazon River cruises and lodges in Iquitos.